Recently, I was interview by Sally Allen from Books, Ink at the Hamlet Hub. She was curious to speak to me because of the buzz about my upcoming book. Here is the interview that they posted on their website. Local author Mar Jennings‘ signature style is Casual Luxury. 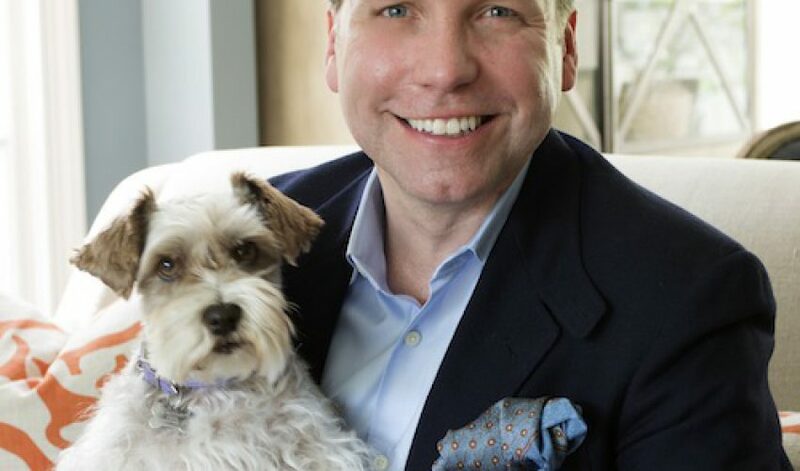 The television host and lifestyle expert is also the author of the bestselling “Life on Mar’s: A Four Season Garden,” an award-winning coffee table gardening book that showcases his Westport garden, from how he planned it to how it has evolved over four glorious New England seasons. His follow-up, “Life on Mars: Creating Casual Luxury,” which will be released in Sept. 2013, offers his six design principles in word and image. Photo essays explore his design philosophy and provide practical tips readers can apply in their homes. Jennings has appeared on HGTV, the Today Show, the Style Network, the Food Network, ABC, CBS, CNN, and venues across the country. He very kindly took the time to answer my seven bookish questions. What is the first book you remember loving? “The Giving Tree” by Shel Silverstein touches my heart each and every time I read it. Not just a children’s book, this is a powerful and inspirational story. I have cherished this book from the moment I first read it, and I continue to find new meaning in the simple lessons it teaches. What is a book that inspired you to be a writer? It was more a person rather than a book. Edward R. Smith my devoted friend and confidant whose encouragement, patience, and guidance helped me secure a solid foundation for my life as a writer and the courage to live my dreams. His short but meaningful life touched all those who had the good fortune and pleasure to know him. A dedicated reader and writer himself, he helped me find the words to express my inner gifts and talents. I remember when I was in 3rd grade I wrote a small book called “Happiness Is” where I listed the important things that made me happy. My mother showed me it right after I wrote my first book, “Life On Mar’s, A Four Season Garden,” and many of the things I wrote back then are still meaningful to me today. For example: “Happiness is”_having a garden to share with family and friends, Happiness is”_a wonderful home.” Today I still believe in those same wonderful words. What book did you read in school that you did not fully appreciate until later? Books on poetry. “The Poetry of Robert Frost” is a perfect example: a collection of work by the famous New England poet who wrote about social and philosophical themes. As an author who is also inspired by New England, I relate to him in many ways as my home has become my laboratory for writing. I love to play on words and create linking sentence structures that are both fun, playful, and extremely creative. Poetry allows us to be creative in our writing abilities thus expanding the opportunities to express ourselves. What book would you make required reading in school? A dictionary: learning how to use one versus searching Google. Most recently I went back to F. Scott Fitzgerald’s classic, “The Great Gatsby.” I love period pieces that take me back in time, in this case to the early twenties. What would you call a “great American novel”? “Gone With The Wind””ÓThe theme of the importance of home and the land have always resonated with me. My life today revolves around my home, Rosebrook Gardens, and the land that provides me endless resources for creativity. Besides, even today I look at curtains and can’t help thinking about Scarlet O’Hara. Photo credit: Stacy Bass. Photo features Mar Jennings with his adorable miniature schnauzer, Violet.